Working the wire environment. (Host Country) Real time training by a Wake Lineman instructor on the wire with student as work is being performed on the line. Set up of fuel tanks, aviation pumps and grounding system for hot fueling in the field. Management of hoist, slings, grips, hook ladders, mechanical jumpers, grounds, etc. Maintain and supply operational systems on the helicopters. (load cells, door mounted TQ, TOT, and master alarm, etc. Maintain HEC (Human External Cargo) belly bands, ropes, fly harness, fly chair, etc. 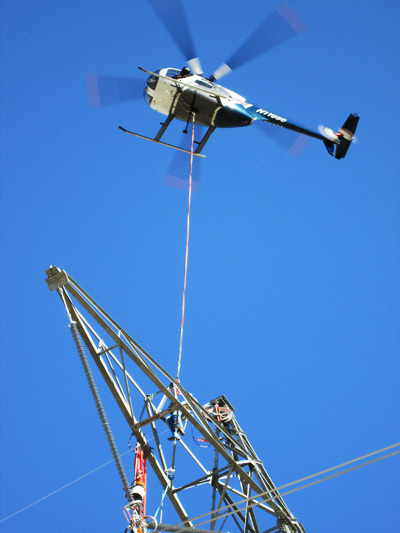 Linemen and ground support personnel will be trained using Wake Aviation’s Safety Program geared specifically toward line operations and related aspects to the wire and aviation environments.